As longstanding eye care providers in Maple Ridge, we are proud to offer a wide variety of treatment options to help our patients achieve and maintain optimal eye health. 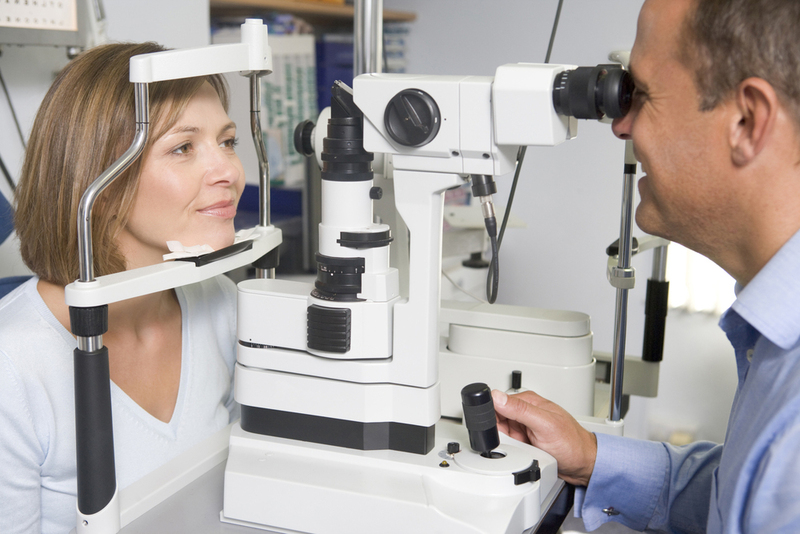 With a unique one-on-one approach to eye care and years of collective experience, our optometrists are better able to handle all your vision needs. Blepharitis is inflammation of the eyelids that can present with a variety of irritating and sometimes painful symptoms. This common eye condition occurs when the oil glands at the base of the eyelids become clogged. Blepharitis can cause your eyelids to become red, swollen and you may even feel a burning sensation. While the severity and course of your symptoms may vary —with treatment, the worst blepharitis symptoms usually clear within a few weeks. However, most patients will find that blepharitis is a long-standing, even chronic condition that requires regular maintenance. The most common causes of blepharitis are dandruff of the scalp and eyebrows (seborrheic blepharitis) or excessive bacteria on the lids (staphylococcal blepharitis), which can lead to an infection. Other causes of blepharitis include clogged or malfunctioning oil glands in the eyelids, rosacea, eyelash mites or an allergic reaction to eye medications, contact lens solutions or makeup. There are several treatment options available for those who suffer from chronic irritation and other symptoms and these vary depending on the type of blepharitis. In many instances, good eye hygiene can help control blepharitis. This includes frequently washing the scalp and face, using warm compresses to soak the eyelids and gently scrubbing the eyelids. Our eye care specialists may also recommend antibiotics or eye drops to help manage your symptoms. With antibiotic ointment applied to the base of the eyelashes before bedtime, you may be better able to manage your condition and prevent the worst symptoms. Artificial tears may also be prescribed to reduce redness, swelling and dry eye. Additionally, antibiotic eye drops can help your oil glands start to work better over time. Living with blepharitis doesn’t have to be a struggle when you have the right tools to manage your irritation and other painful symptoms. Interested in a better way to keep your blepharitis under control? Call (604) 463-4469 or visit the experienced vision and eye health team at Maple Ridge Eye Care online today to schedule an appointment.